Press / Private Air Magazine / The Brilliance of Bakshaish –New! 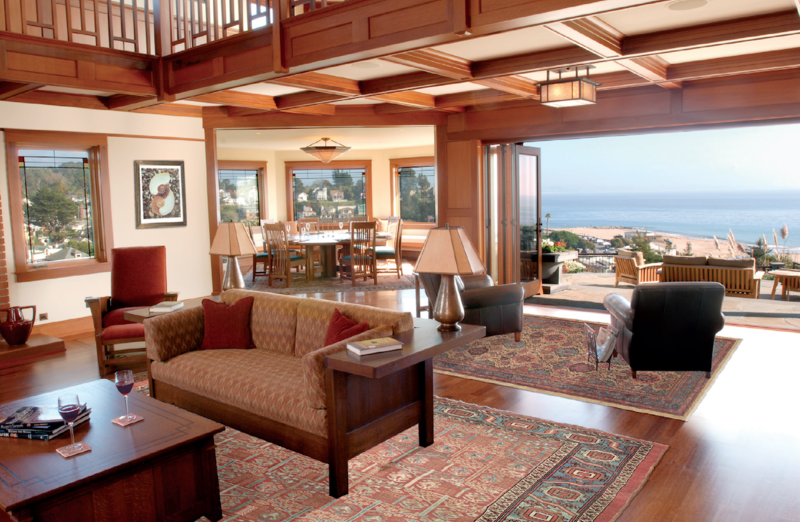 A large seating area in this grand, casual home hosts a luxurious Camelhair Bakshaish rug. 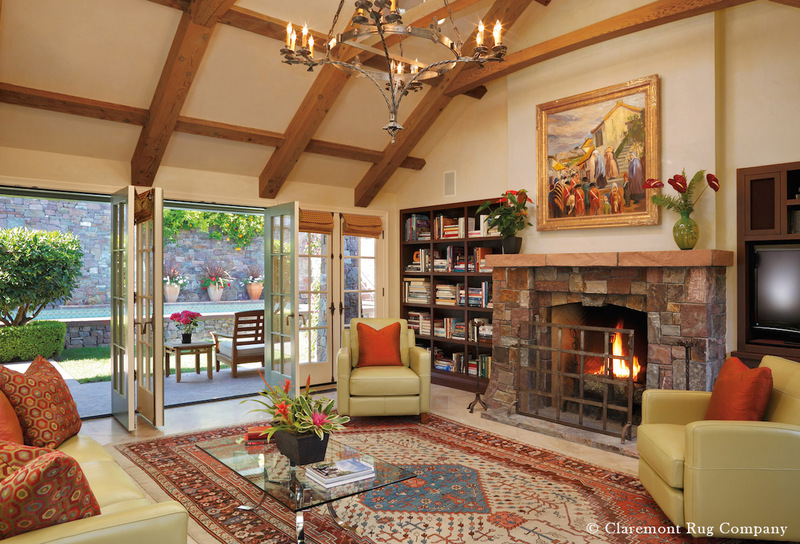 “It could be argued that of all the categories of antique Oriental rugs, Persian Bakshaish weavings have the most exuberant and idiosyncratic world view,” says Jan David Winitz, president and founder of Claremont Rug Company whose art-caliber inventory draws an international clientele. Scholars believe that the peoples of this region first learned the art of symmetrical knotting from Seljuk invaders in the 11th century. Most 18th and 19th-century Middle-Eastern weavings — be they Persian Kashan, Kirman, Tabriz or Turkish Herekes or Mudjur — can be recognized by a certain regularity of design or pattern. What sets Bakshaish (pronounced back-shy-EEsh) rugs apart, and what makes them increasingly beloved by knowledgeable collectors, is their astonishing diversity. Created in a series of villages tucked into the remote Elbrus Mountains of Azerbaijan in Northwest Persia, 60 miles east of the major city of Tabriz, these astonishing loom works embody the visual and metaphysical DNA of the various cultures which, over the course of many generations managed to navigate an often-inhospitable landscape to reach them — Persians, Turks, Kurds, Armenians, Turkomans. The result of this ongoing cultural “mix” was that staid, and traditional design configurations were forsaken in favor of improvisation. Supported in part through exposure to the smaller geometric tribal rugs of the nearby Caucasus Mountains, symmetry was replaced with asymmetry and abstraction, always with an eye to experimentation and a freeform playfulness. Winitz enthuses, “Bakshaish weavers were masters of deconstruction, of ‘taking apart’ classic styles and reinventing them as something uniquely their own. Their rugs are, in fact, the legitimate precursors of the abstraction that characterizes much of 20th-century Western art. Until recently, little has been written about these particular masterworks, which are by far the most idiosyncratic of larger Oriental rugs. The name Bakshaish rarely even appeared in print, with all the rugs of the vast Azerbaijan region lumped together as “Northwestern.” Even the ground-breaking German rug scholar Ulrich Shurmann in his book “Oriental Carpets” (1968), refers to the provenance of a Dragon Bakshaish rug as “Heriz,” the largest town and carpet market in Azerbaijan. And as those of other Persian weaving centers overshadowed the limited number of Bakshaish looms, these carpets were rarely seen (or appreciated, when they were) by Westerners. Adding to the lack of exposure was a preference by gallery owners, both in the East and the West, for more traditional, formal designs and extremely tight weaves of the rugs from the Persian cities to loosely knotted rustic, carpets from Bakshaish with their irregular, geometric designs. Mid-19th century Persian Bakshaish with a singular design that includes horses and riders on brilliantly striation field. Persian “Dragon Rug” shows exotic dragon forms within the medallion and rapturous use of “ Bakshaish blue”, c. 1875. 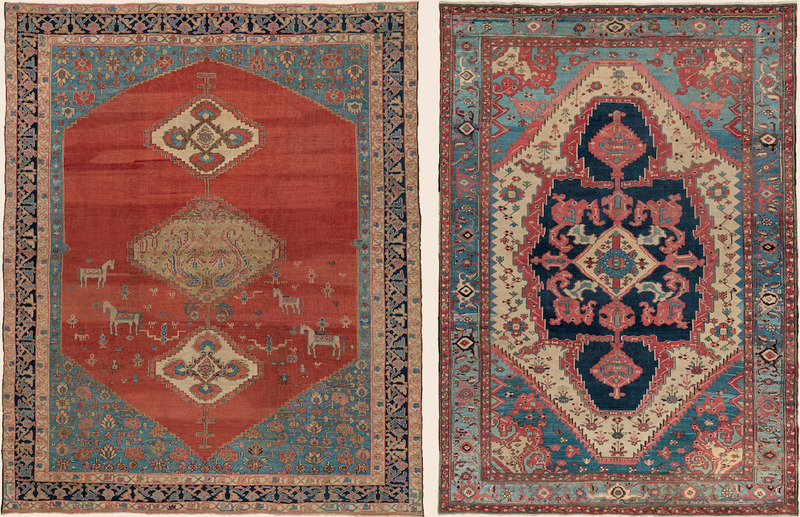 Fast-forward to the 1990s, when Bakshaish rugs were finally “discovered.” Prices in Sotheby’s and Christie’s auctions were regularly reaching their highest bids and Bakshaish began showing up in the retail offerings of the most prestigious carpet galleries worldwide. Today, the supply of art-caliber 19th century Bakshaish carpets in floor- worthy condition is drastically limited, and their prices reflect this scarcity. Winitz is one of the few purveyors to offer a range of fine examples of Bakshaish artistry, who works with connoisseurs and collectors, individually answering to their requests with the finds of his global buying network and holding private collection events where the rarest pieces of all the important rug styles are offered. In a gracious den of a connoisseur couple, this High-Collectible Bakshaish carpet adds much enjoyment to their daily visits to this room. In good weather, four to six women (friends, family members, neighbors) would sit close together on a handcrafted scaffold loom attached to the outside wall of a weaver’s home. Depending on the size of the carpet they envisioned, the loom might rise as high as 18 feet. The head weaver would begin chanting “instructions,” based on a loose drawing or sketch. Then all would chant together, establishing a consistent rhythm. “The variety that emerged from this small region was tremendous,” adds Winitz. “Think jazz versus symphonies or concertos. The weavers would get together and just ‘jam’. Each new carpet was a new melody.” As in the finest musical improvisations, everything came together as a unified, cohesive whole. A complex and meticulous one. It wasn’t unusual for one piece to take nearly a year to complete. And yet, they managed to capture and embody spontaneity in the final result. Persian Bakshaish Camelhair “Tree of Life” design carpet with eccentric “Bakshaish blue” border, 3rd quarter, 19th century. Important Persian Bakshaish carpet with a highly asymmetrical medallion and unfettered playfulness in its drawing, early 19th century. Even repetitive palmettes, crosses and cartouches, set into diamond latticework, contain unique variations. Vertical borders are often narrower than horizontal ones, or vice versa. While motifs at the top and bottom “correspond,” they also exhibit astonishing variety. Given a field of rosettes, each will be slightly different. Flowering trees tilt and sway at various angles, tendrils and serrated leaves seem to float, even move. A magnificent, highly collectible ‘Tree of Life’ Bakshaish from Claremont’s current inventory features a spacious ‘shield’ border that counterbalances a dense, tree-strewn center field. Another 1875 Bakshaish offers a central field of muted, almost pastel tones of more than a dozen medallions “held in” by a mustard border of blossoms and winding vines. Still, others boast folkloric borders dense with what appear to be stylized butterflies and kites, or fields dotted with horses (each with a different saddle) or human figures with hands on their hips. A mid-19th century “center medallion on an open field” Bakshaish carpet brings patina and striking pattern language to this contemporary loft in a renovated warehouse space. 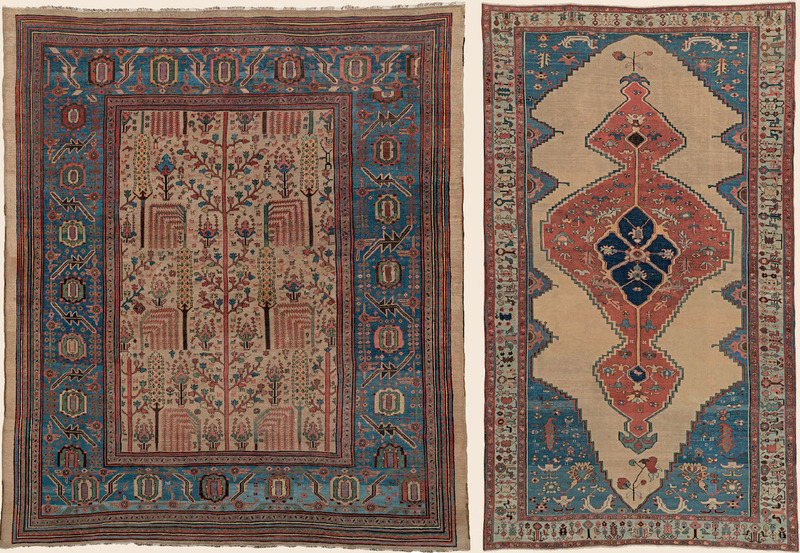 At times, the geometrics of Bakshaish rugs suggest a bird’s-eye view. One “Garden of Paradise” Bakshaish in Claremont’s trove boasts variations of cylindrical, evergreen-like trees as if seen from above, surrounded by exuberant yellow, red and blue flowering plants, and weeping willows, the natural “organic” forms bound – and counterpointed – by a stately border of stylized rosettes and oak leaves. (Rosettes represent Nature cultivated by man, while the oak leaves recall Nature in its “un-tamed” state.) 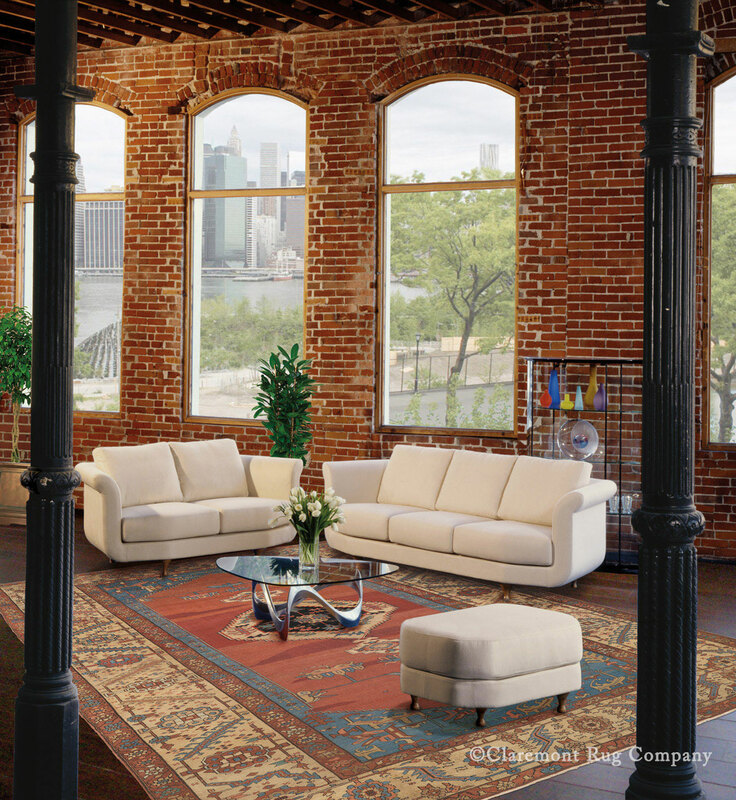 Technically two-dimensional, this brilliantly conceived rug manifests three-dimensional depth and perspective. And then there are the dragons. Associated with evil and chaos in the West, dragons were revered in the East as the heavenly force, the guardians of springs and waterways, creators of lightning and, ultimately, symbols of good luck. Highly stylized dragon forms sometimes appear in tandem with phoenixes, a mythological pairing that represents Yin and Yang, female and male, the two elemental forces that combine to create the animated world. Fifteenth-century fragments from this region reveal an undeniable link to the construction and prominence of the dragon form still alive in the 19th-century Bakshaishs we see today. 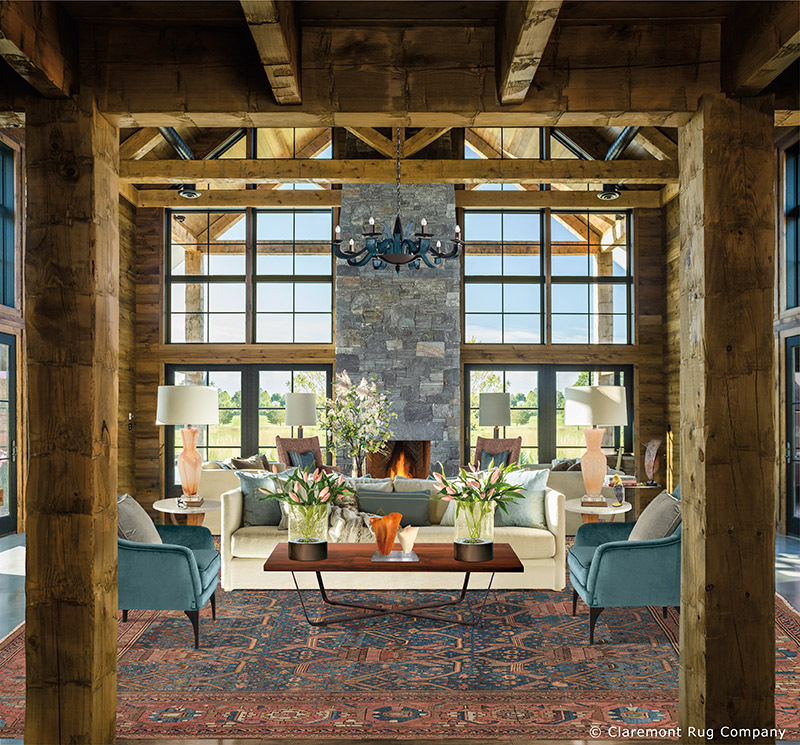 The distinctiveness of this contemporary home with its mid-century modern sensibility is heightened by the alluring artistry of a 150-year-old Bakshaish oversize carpet. The carpets were woven out of doors. In some cases, horizontal, intentionally variegated bands of lighter color were woven in, likely meant to simulate rays of sunlight falling across the carpet. Always a brilliant stroke! Along with sheep’s wool was the much rarer, undyed camel hair. With breathtaking skill, the Bakshaish rugmakers showcased its shifting tones, from blond and beige to shades of coffee and goldenrod. Such neutral colors are, it turns out, particularly well-suited to 21st-century Western homes, where they complement a broad range of contemporary building materials, like wood, stone, and glass, as well as contemporary paintings, photographs, and sculpture. 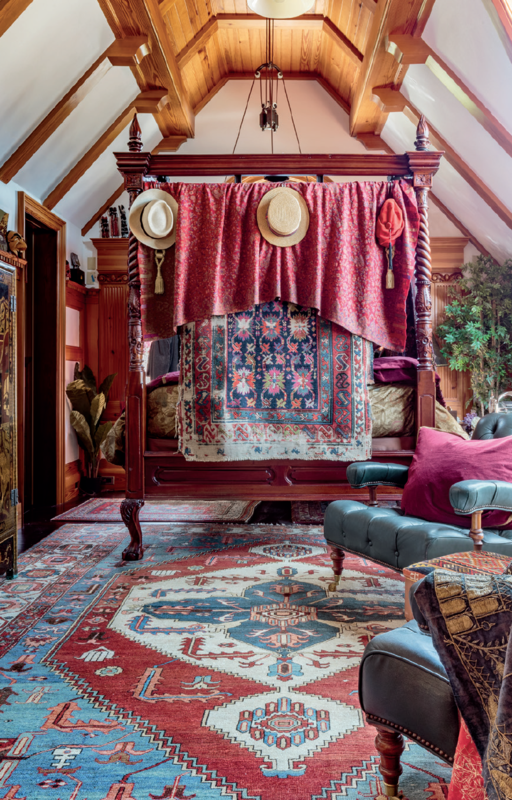 Inspired by his many collections, this art aficionado chose a magnificent one-and-one-half centuries-old Bakshaish carpet for his master bedroom. The majority of today’s most sought-after Bakshaish weavings were made during the first third-quarters of the 19th century, created by and for the weavers themselves (sometimes as a wedding gift, or to celebrate the birth of a child), and for tribal khans, who were patrons of the arts. They can be as large as 12×19 or as diminutive as 2×4. By the 1880s, Tabriz merchants set up workshops with an eye to commerce and a Western market and the maverick Bakshaish pattern language becoming increasingly standardized and their vast pool of colors significantly limited. The Bakshaish weavers created a rich, irreplaceable, labor-intensive legacy with the materials available to them— hand-carted, hand-spun, hand-dyed and hand-woven manifestations, “maps” if you will, of both their world and their world view. Remarkably, that legacy continues to resonate today, a great gift to collectors worldwide, who desire to live with the timeless beauty, exuberance and craftsmanship of these venerable antique weavings — true works of art that “speak,” among other things, of achieving harmony in the midst of an always less than harmonious world.  Watch educational video on antique Bakshaish rugs below. B. Alexandra Szerlip is a two-time National Endowment for the Arts Fellow and author of The Man Who Designed the Future: Norman Bel Geddes & the Invention of 20th Century America (Melville House, NY/London), voted “One of the Top Ten Arts Books of 2017” by the American Library Association.